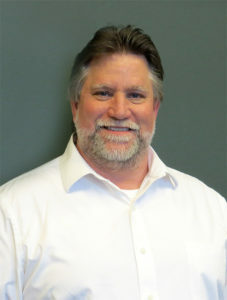 Diversified Plastics, Inc. appoints Gary LaTraille as quality director - Diversified Plastics, Inc. Diversified Plastics, Inc.
Diversified Plastics, Inc., (DPI), a custom plastic-injection molder and digital manufacturer of high-precision components, has appointed Gary LaTraille as quality director. LaTraille will be responsible for strategic advancement, optimization and enforcement of DPI’s regulatory and quality protocols to ensure that materials, products and processes meet or exceed customer and company requirements. LaTraille has more than 30 years of experience in medical device manufacturing, quality management and regulatory compliance. Prior to joining DPI, LaTraille was manager of quality assurance and regulatory affairs at Kips Bay Medical, Plymouth, Minn. He also served as quality manager at superDimension, Inc. and senior quality assurance/design assurance engineer at AGA Medical (now Abbott), both in Plymouth. He held the position of design assurance engineer/engineering supervisor, quality assurance for St. Jude Medical, AF Division in Minnetonka, Minn. and quality assurance engineer at Thomas Engineering Company, Brooklyn Park, Minn. LaTraille advanced his career at Schneider USA (Boston Scientific)/American Medical Systems where he was promoted to quality assurance engineer/supervisor. LaTraille received a Bachelor of Arts Degree from Metropolitan State University, St. Paul, Minn. He has earned many quality certifications, including ASQ Certified Quality Engineer (CQE), ASQ Certified Quality Auditor (CQA), ASQ Certified Quality Manager (CQM), ISO 13485:2003 Lead Auditor and ISO 13485:2016 Lead Auditor. For more information about Diversified Plastics, Inc., visit www.divplast.com, call +1 763.424.2525 or email sales@divplast.com.